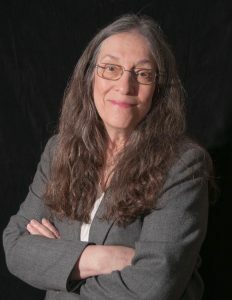 Joan Schweighardt is the author of six novels and a memoir. Her first children’s book will be published soon. Besides her own projects, she edits, writes and ghostwrites for private and corporate clients. An artist friend once said that everything he looks at is either something he can imagine painting or something he can dismiss. Though I am less exacting, I can relate. There are things that happen (in my own life when I was a younger writer and now more often in the historical past) that I can imagine making my own by writing about them. A very short outline is useful at the beginning of a new book but it is never conclusive for me. My outlines change and grow over time. That said, an outline is not always essential. As an experiment, I began one novel (The Accidental Art Thief) without any idea where I was going. I tried to end each chapter with the most surprising ending I could think of, and that then became the jumping-off point for the next chapter. It was fun, and I was happy with the way the book turned out. Of course that wouldn't work well with historical fiction, which is what I'm writing mostly these days. Listening to characters is essential, and also very difficult. It's easy to mistake something I think for what they think. This is one of the reasons why it's so important to write several drafts. I find with each draft that the characters' voices become more assertive, until they finally begin to drown me out. Carolyn Parkhurst, Dogs of Babel; David Wroblewski, The Story of Edgar Sawtelle; Karen Thompson Walker: The Age of Miracles; Gabriel Tallent, My Absolute Darling; Anthony Doerr, All the Light We Cannot See… there are many more. I am in the unique position of having had several kinds of publishing experiences. My first three books were published by a traditional mid-size publisher; I had a few books published with small publishers; and most recently I began publishing with a book co-op, Five Directions Press. To me, co-op publishing is the best of all worlds. Of course the secret is to be with a really good co-op where you can get all the help (layout, cover design, edits, marketing advice, etc.) you need and still maintain creative control. Five Directions happens to be an excellent co-op. My fellow writers are all really talented and I'm thrilled to be in their company. So, would I rather be with a large publisher with lots of money to throw at books like Little Brown (my personal favorite)? Hell, yes. But since I don't have that option, I'd rather be with a co-op. I do want to say, however, that my children's book, No Time for Zebras, will not be published through the co-op, which specializes in novels and memoirs. It will be published by Waldorf Publishing, which has a large line of children's titles. Technology has made it very easy to publish a book…but very hard to drive traffic to it once it's published. I believe this trend will continue. It's a good trend, because it gives everyone an equal chance to be a writer, and it's a bad trend because some of the best writers with the most important works will be overlooked.